For many OEM applications, it is important to be able to test the IRt/c for proper operation each time the system is started, assuring the user that all systems are functioning, much the same way that a microprocessor can be programmed to check itself when powered up. This feature is especially useful to check for cleanliness of the lens in applications where a user might inadvertently spill something on its surface. The test is performed by applying a known power input to the target to be heated, and monitoring the initial rate of change of temperature of the target as seen by the IRt/c. 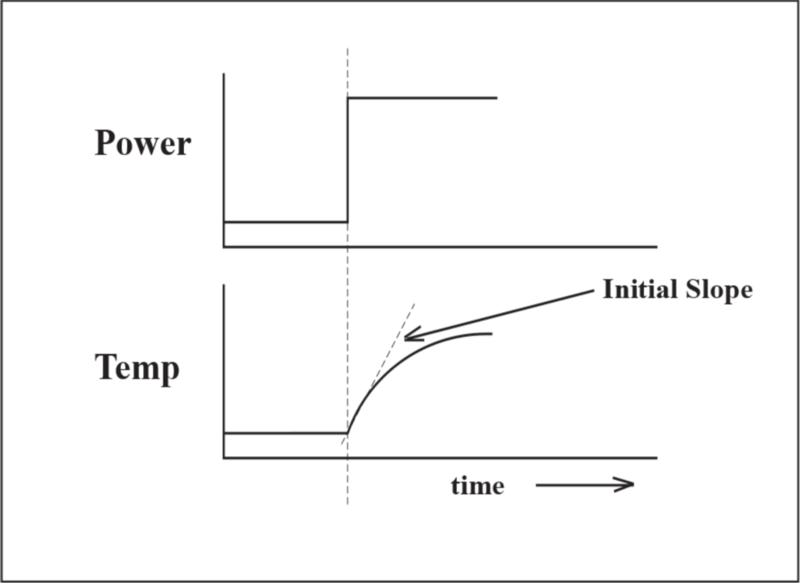 This rate of change is dependent only on the power level and independent of the initial temperature of the target, as long as the target began at a uniform temperature. Sufficient time must be allowed after the previous powerdown. If the IRt/c is clean and functioning normally, it will report the correct rate of change, and the machine becomes operational. If the rate of change is lower than normal, the user is alerted to clean the lens. If this still does not produce the desired response, service is required on the IRt/c or heater, target, control, etc.